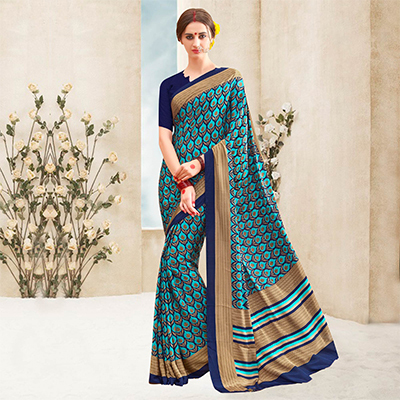 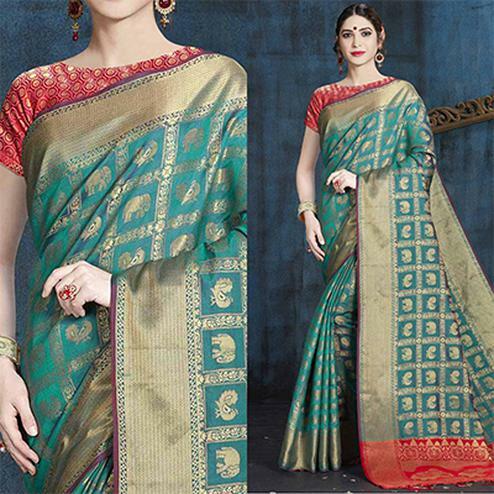 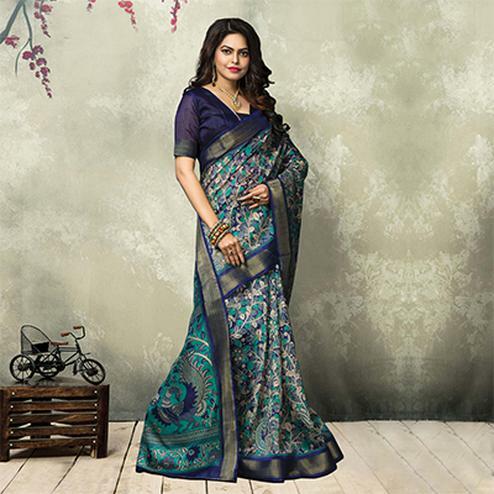 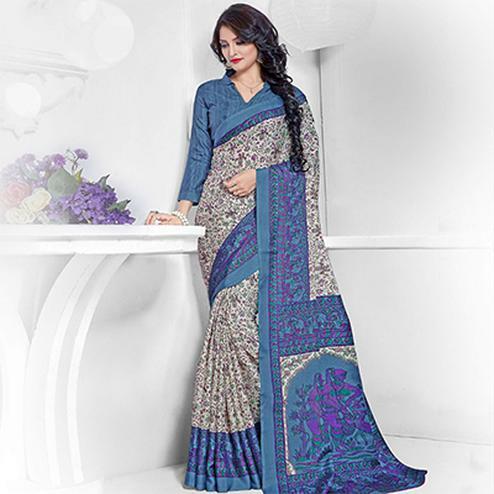 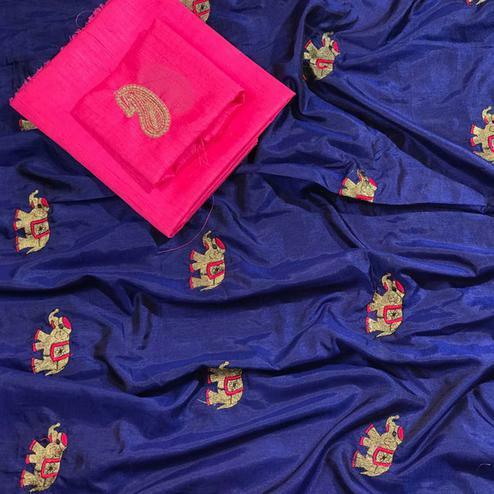 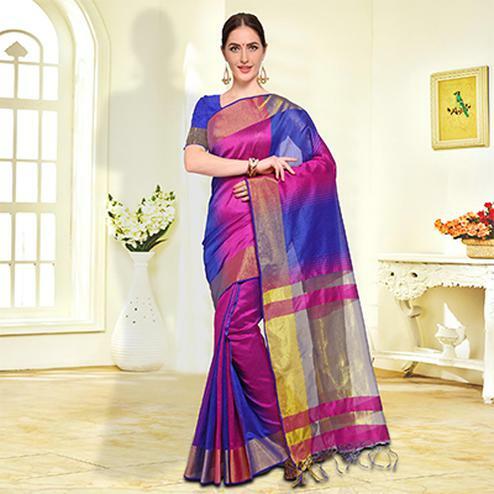 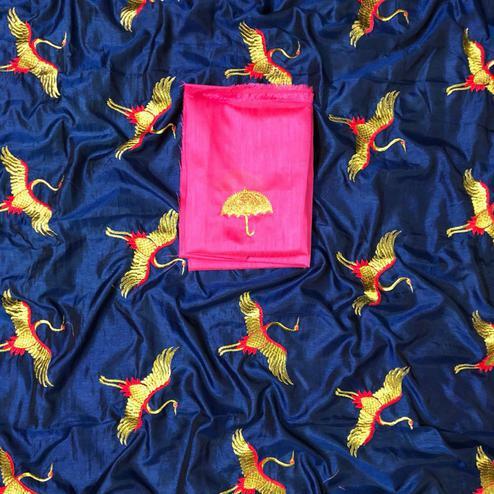 Featuring blue saree designed using crepe fabric beautified with print work done in the form of floral design at body, geometrical and unique pattern at lower pallu and navy blue color solid border. 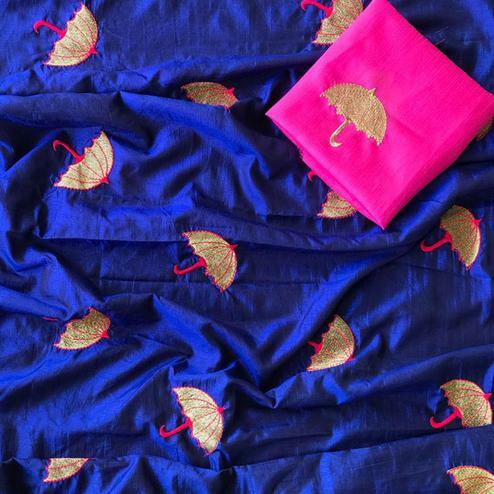 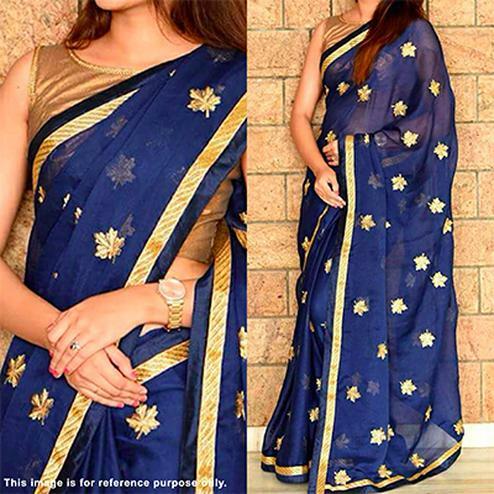 Saree paired with navy blue matching fabric blouse piece. 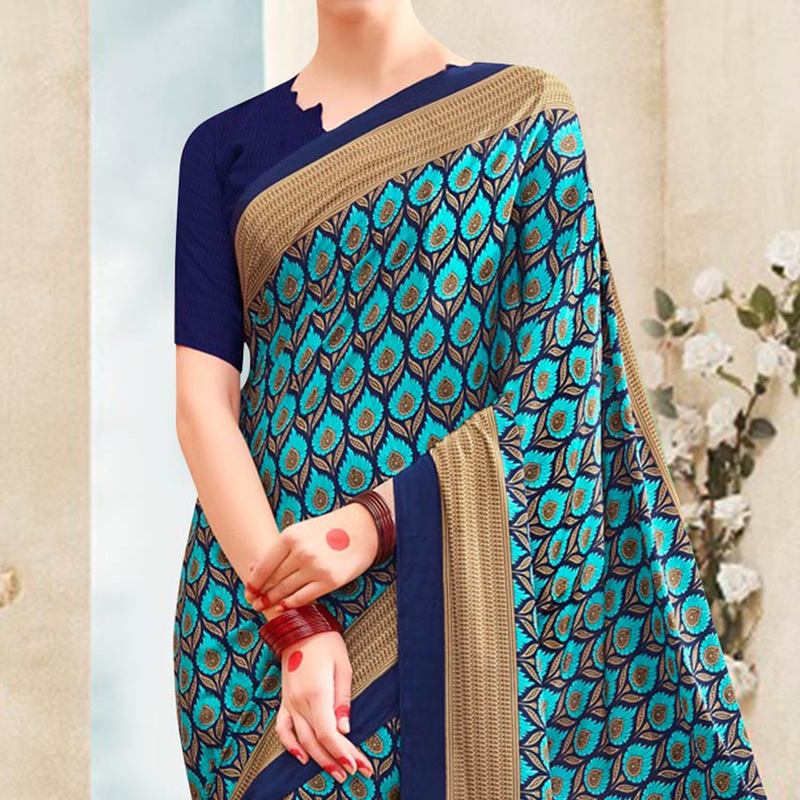 Ideal for casual wear and homely events.